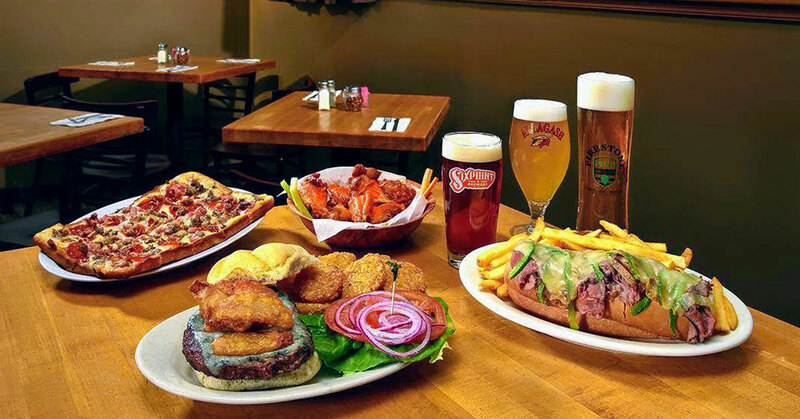 Legendary pizza and delicious pub fare, a revamped restaurant with a nostalgic early 1900s feel, and a dedicated staff ready to help you build memories at Albany's oldest tavern - this is just some of what you'll experience when you stop by The Orchard Tavern. Learn how the new owner has restored the tavern's fame by perfectly marrying the authentic old world tavern feel with modern improvements. 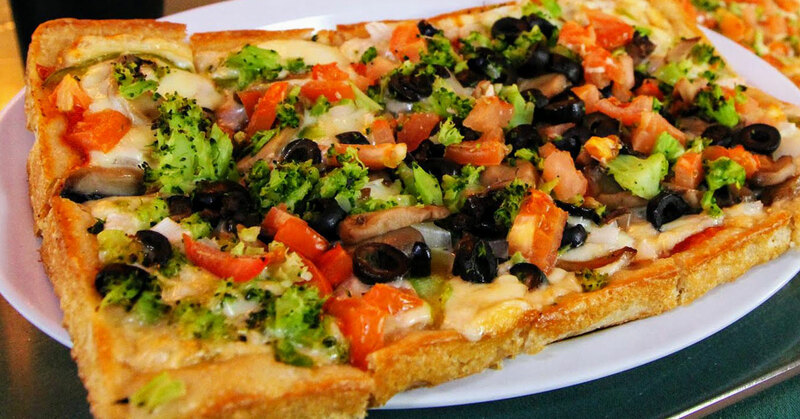 You read that right - you don't have to go to New York City to enjoy world-famous pizza! 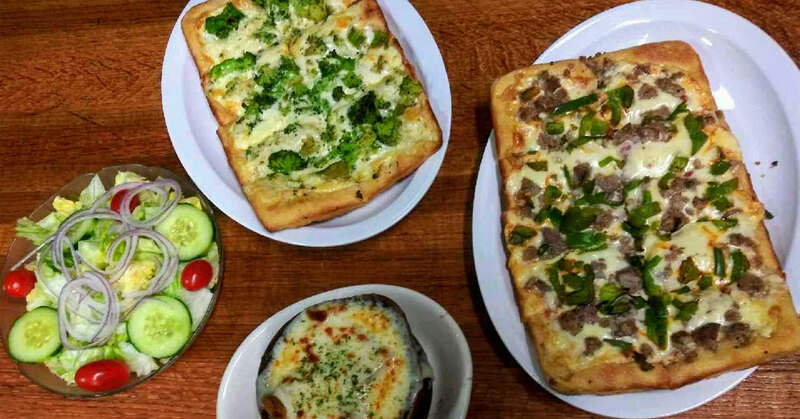 Many guests over the 100+ years The Orchard Tavern has been in existence have found the the pizza to be so incredible they've sent it to family members across the globe. As the Tavern changed hands, the closely guarded recipe for this siganture rectangular-shaped pizza would pass from one owner to another in order to ensure the pizza you order now is the same way it was since the beginning. However, when the new owner Kris Monforte took over, he discovered the process for creating The Orchard Tavern's number one dish wasn't always followed consistently from one chef to another. "We make our dough fresh in house," he told us, "and I won't go into the secret recipe. But, there are certain steps along the process from kitchen to table that were being left to the interpretation of the person who happened to be on the pizza station on any given night." Monforte corrected the dough size and adjusted the temperature of the oven for the pizza, among other changes. The previous owner, Mike Noonan, has tried the brought-back-to-life pizza and told Monforte it's even better than it was before. That's quite a compliment from someone who ran the tavern for over 25 years! Prior to taking over the tavern in January of 2018 Monforte spent an entire month hanging out at the restaurant learning, watching, asking questions, and soliciting feedback from customers. Besides bringing the pizza back up to its glory the other major food change he made was having the wings prepared from fresh instead of frozen wings. 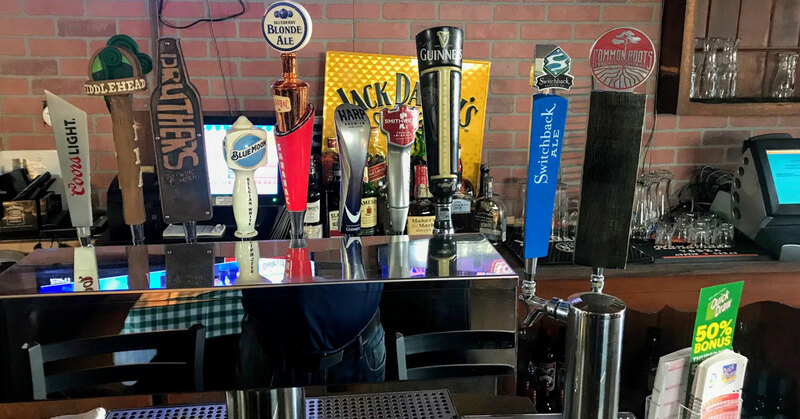 In addition to the wings and pizza, the bathrooms and facade behind the bar were redone, he had a new draft tower and lines put in, and every room was repainted. In the spring of 2018 the back patio was redone with a new stamped concrete entrance, and new chairs and tables were brought in. "The changes have not taken away from the old school charm, just enhanced and brightened things up," Monforte told us. Additionally, he had an Empire Express model train added to their train room just off the bar. Monforte's father built and installed this elevated train track with moving parts and a handmade tunnel. Since Monforte consulted with the regulars about the changes he was planning on making and why, it's no surprise the enhancements were well received. In fact, they're coming in more often now that the food quality and consistency has improved; Monforte also prides himself on the cleanliness of the establishment. "We are also seeing new customers based on social media advertising and new specials we've created," he said. 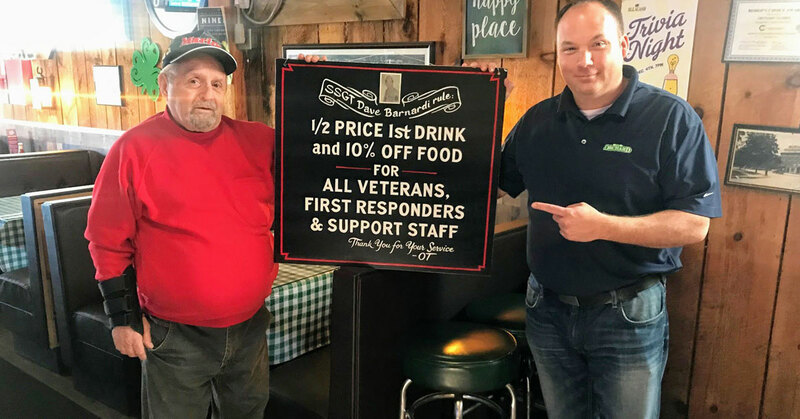 One such special is the SSGT Dave Barnardi Rule: Half price for the first drink and 10% off all food for all veterans, first responders, police, firefighters, and support staff. They also offer other specials all the time that are regularly posted on their Facebook page. The Orchard Tavern got its start in 1903, when it served as the main watering hole for the Albany rail yards and Tobin Meat packing plant, serving the workers and families who settled down in the area. According to what Monforte has been told, the tavern was the place in Albany where cowboys tied off their horses out front after delivering cattle to Tobin. The aforementioned train room pays homage to some of this tradition and history. Today, the tavern sees customers whose parents or grandparents frequented the establishment. In fact, many of their older patrons went on their first dates at The Orchard Tavern, got engaged there, or even got married there - they have a private room in the back that has held hundreds of various events and celebrations. Monforte may have taken over ownership of the tavern in 2018, but the roots were planted for him to buy the restaurant many years prior. His father was a linen supplier for The Orchard Tavern for over 25 years, which is how Monforte ended up hanging out at the establishment after basketball and football games at CBA. On one of those many visits he told his friends that someday he would own the restaurant. Prior to the purchase Monforte sold medical equipment for 15 years. As that industry changed his passion shifted and he began thinking about the restaurant business again - and The Orchard Tavern, specifically. He knew that previous owner Mike Noonan had built a legacy for over two decades with the restaurant and was looking forward to retirement. Monforte was the ideal person to fill those shoes. Besides having some of the best pizza on the planet, The Orchard Tavern also has an extensive menu filled with top notch pub fare: wings, nachos, and other tempting appetizers; juicy burgers; a wide variety of club and deli sandwiches; hearty dinner choices like pasta with meatballs, chicken parmigiana, and slow roasted barbeque ribs; and they also offer 10 different deluxe salads. 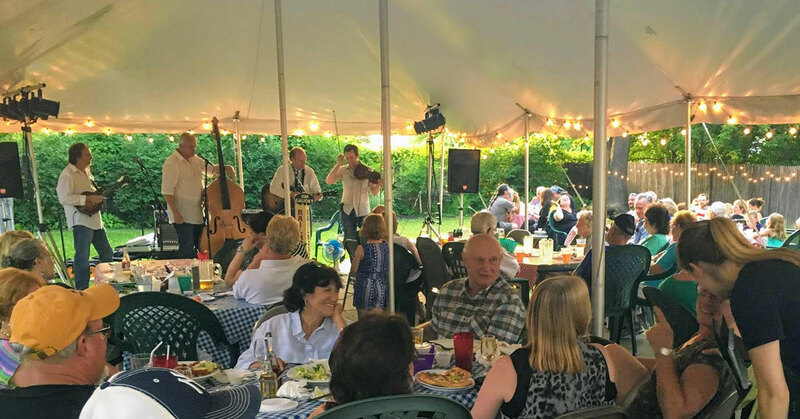 In addition to the fabulous food, revamped establishment, and welcoming atmosphere, the other thing that stands out about The Orchard Tavern is the staff. "The team we have cares about the product they are bringing to the table and understands that we are not just bringing food but creating memories," Monforte told us. At least three of his employees have been with restaurant for over 25 years. Need another reason to check out the tavern? Live music happens nearly every Friday and Saturday in the summer. Hang out on their renovated back patio enjoying the food and drinks as you listen to solid tunes. They post the music schedule on their website and Facebook. In the past they've had The Leftovers, The Big Idea, Joe's Boys, Eddie Plew & the Kopy Cats, and more perform there - they always have a wide range of music genres covered. See what's new at Albany's oldest tavern when you're next looking for a new restaurant or bar to try! This is the perfect place to make memories and start new traditions.